We’re always interested in change, challenge, and committing ourselves to the best version we can be as the calendar starts back up at January 1. 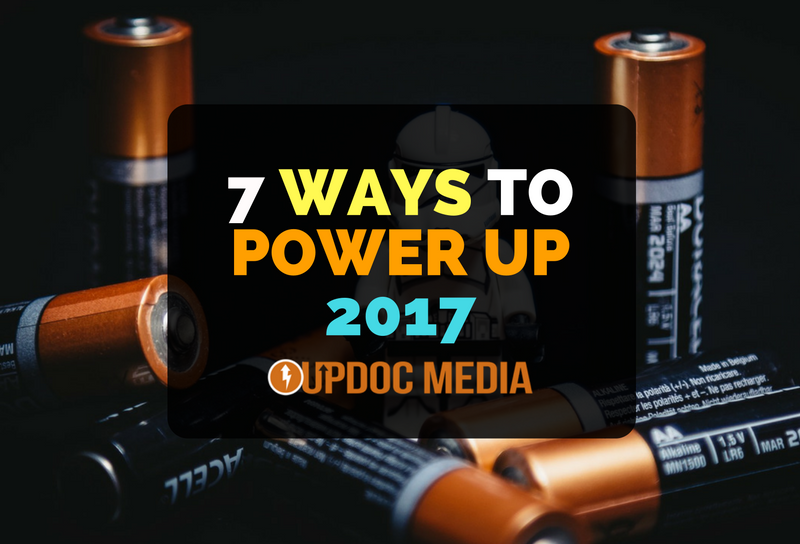 Well, here are seven ways to power up your 2017! Whatever the case and however you like to use these platforms, let me encourage you to jump on another social media outlet that you have yet to join or fully utilized. For me, I just got on Instagram “professionally,” this month. Why? Because, I wanted to challenge myself. I love Snapchat and I love videos; however, I’m not the greatest when it comes to image capturing and graphics. So! Whether you have yet to join one, or if you are already on ALL of them, my challenge is this: Choose the one you least like, and, see if you can make it your new champion in 2017! PS. 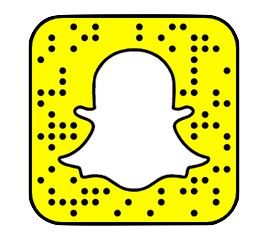 I keep telling clinic owners & business managers: SNAPCHAT. You’ve gotta get on it! As I mentioned in my blog post The Future of Digital Marketing, consumers want to be able to experience and engage with your brand — to become part of the story. What better way to be engaging and inclusive than live streaming? Live streaming is available through nearly every social platform and is even available via YouTube. Presently, Facebook, Instagram, and Twitter a la Periscope have live video streaming capabilities. Now, don’t expect to feel comfortable with all the dynamics all at once. There’s a lot to take in, at first. There’s the functionality of the stream itself, people making comments and reactions live (or, slightly laggy), dealing with the trolls, seeing yourself on screen while trying to focus on the actual camera so that you’re looking at your audience…. Yup. Get on it! Everyone has an audience. It doesn’t matter if they are big, small, or any other variety. What matters most is engagement. This is a lesson that professionals from all walks need to be reminded of. 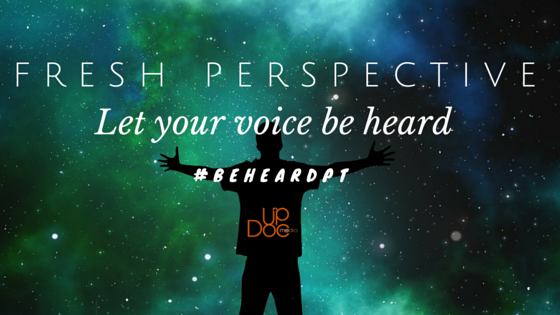 Having had the pleasure to work with professionals throughout the spectrum, it’s not just a healthcare thing that licensed providers tend to obsess over what THEY feel is interesting rather than what their CONSUMERS clamor for. Really charge up that 2017 drive by being open to what they — your audience — want. What are their desires, their interests, their expectations? Focus delivering to those preferences and doing so consistently. Which leads us to…! You’ve heard me say it before: “Content is King. Marketing is Queen. Consistency is Key!” It’s all about consistency. When engaging an audience, when improving yourself, when growing a business, when acquiring skill sets, when striving for excellence — CONSISTENCY IS KEY! For 2017, commit to consistency — not to everything, to ONE thing. Make 2017 the year that you are consistent with the ONE THING you’ve always wanted yourself to be… and, make it yours! Marketing is so much more than the elements that comprise it. Marketing, is creating demand. It’s not just sales, promotions, pricing, advertisements, inbound, outbound, boosted, organic, search, social, direct, discovery, etc. etc. etc. Regardless of if you own a business, want to own a business, are a business manager, are an employee, or are a student… make 2017 a powerful year for you through expanding your marketing channels. Ultimately, whether you are growing your personal brand (job market marketing, #PTJobMarketPulse), growing caseloads for your clinic (marketing), creating sales funnels for a new invention you have (marketing)… whatever the case, try it in a new way through a new channel. If you are currently doing great in social media, try advertisements. If you are doing wonderful in word-of-mouth, try expanding to email marketing or direct messaging. If you are strong in content marketing, try some outbound strategies. Expand your engagement! Make 2017 about adding something NEW as the new best version of yourself. This leads us to…! This is a maxim I picked up in my teen years and I’ve always held to it. Just for fun, in 2017, challenge yourself to do something outside of your comfort zone, outside of your norm, outside of your interests, outside of your desires. Whatever it may be: public speaking, completing a 5k, taking up a form of exercise you intrinsically have distain for, swimming, running, writing, podcasting, blogging… jumping on social media, perhaps? Even acting! I’ll tell you this, of all my coursework in undergrad, Acting 1 was perhaps the most fun and most insightful experience as it pertains to the quality of my current career path. There are all sorts of conferences, all the time. 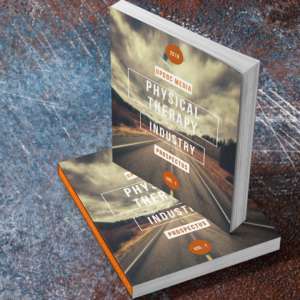 There are tech cons, comic cons, healthcare cons… it doesn’t have to be specifically related to your profession, per se. Whichever you decide — Go! Conferences are a great way to explore what you don’t know, connect with strangers who automatically feel like life long friends, and to immerse yourself with infectious passion, interest, and drive to become more. And, besides… it’s a great excuse to go travel, explore, and meet new people!